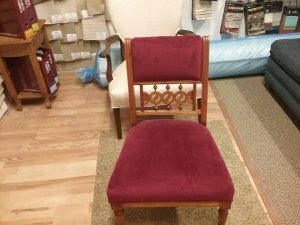 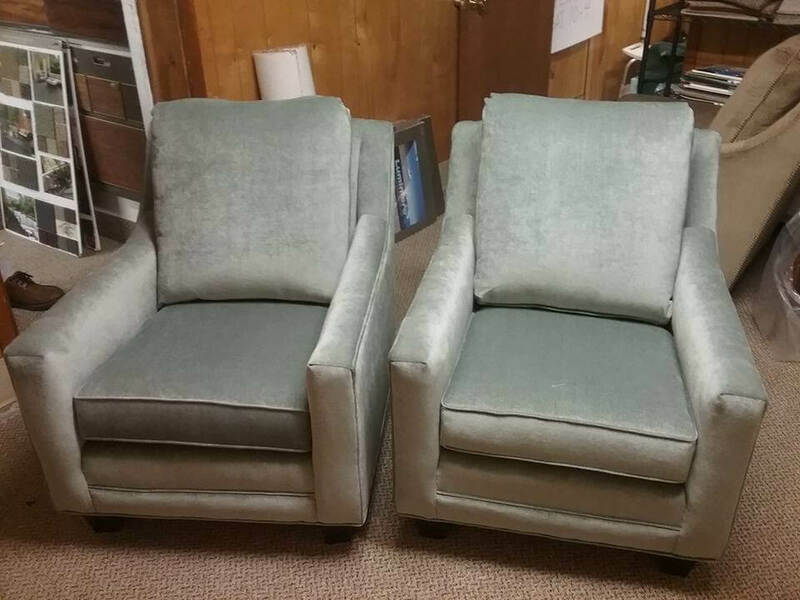 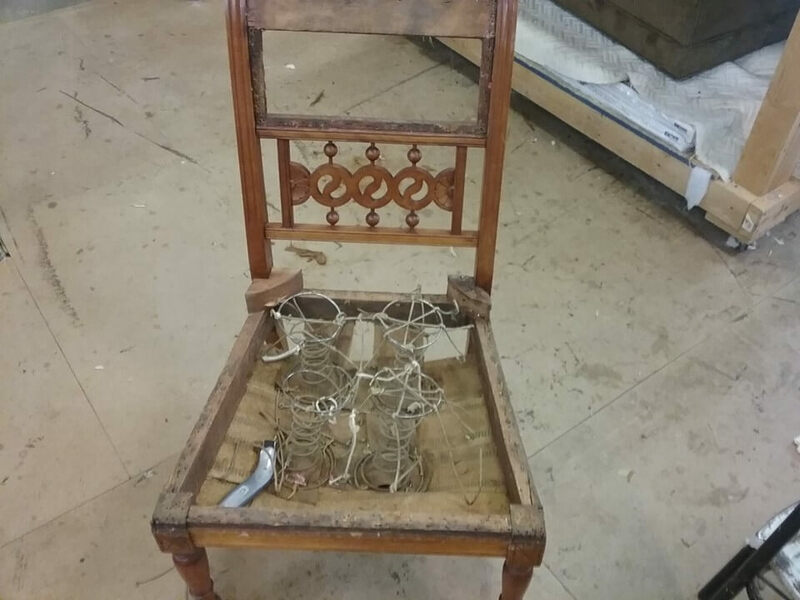 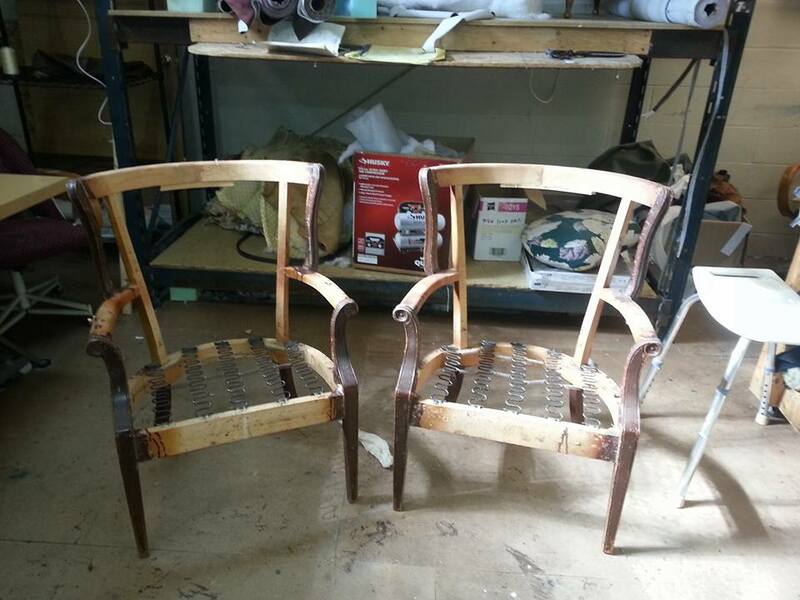 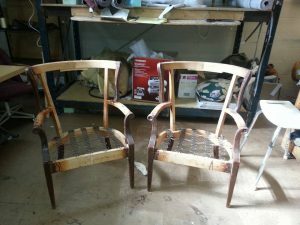 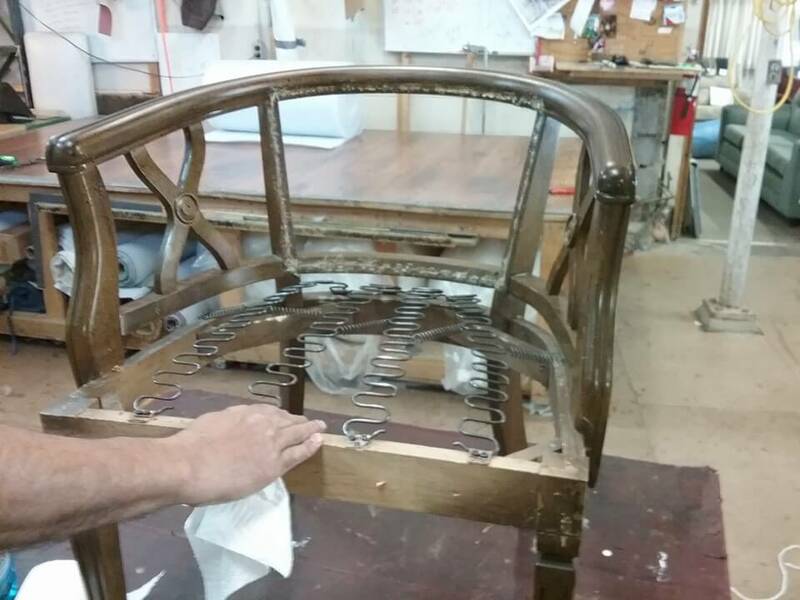 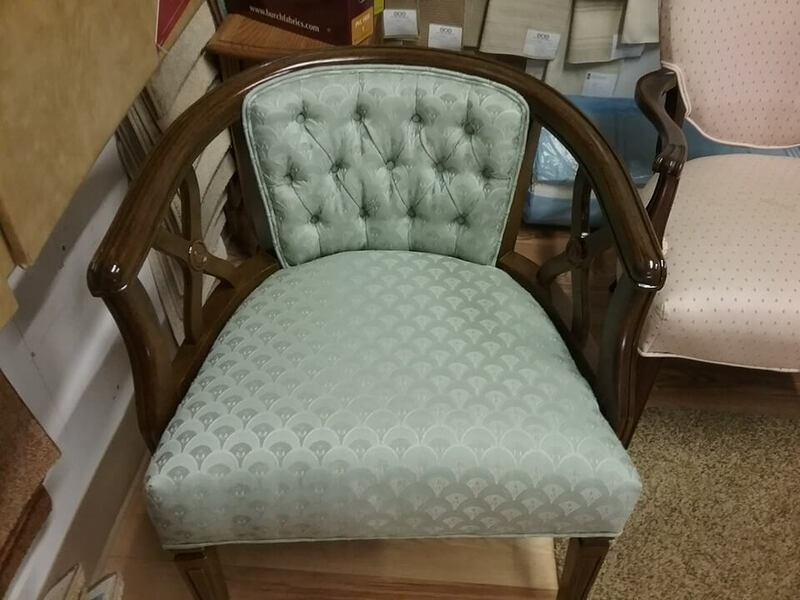 While MBU Interiors is known for new furniture and re-upholstery of older pieces of furniture, we also have several other complimentary services. 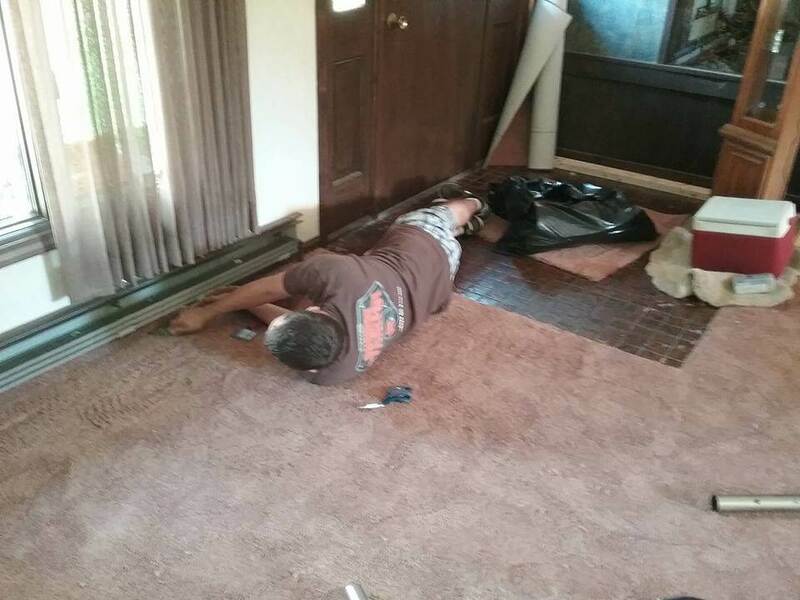 The first is carpet installation. 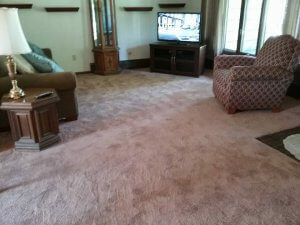 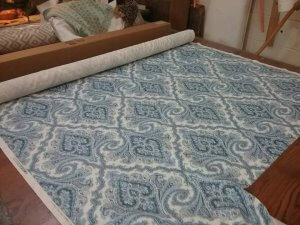 MBU Interiors can help you with all your carpeting needs, both residential and commercial. 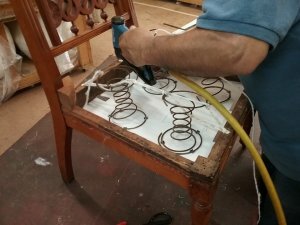 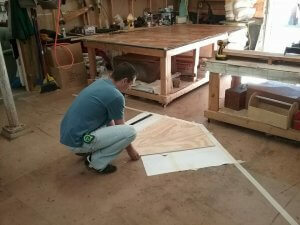 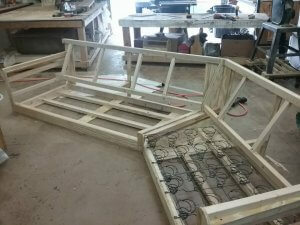 We bring the materials in directly from the mill and use our own installation team. 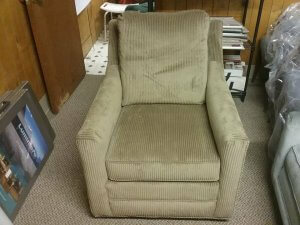 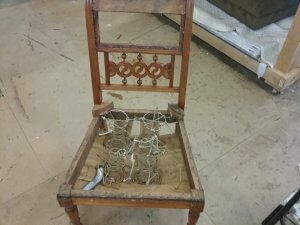 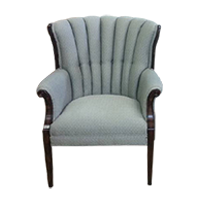 This allows you to cut out the middleman and feel comfortable with the people that you let into your house. The second service that we offer is boat interiors. 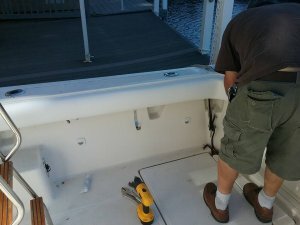 Below are a couple of photos from some recent work we completed for a boating customer. 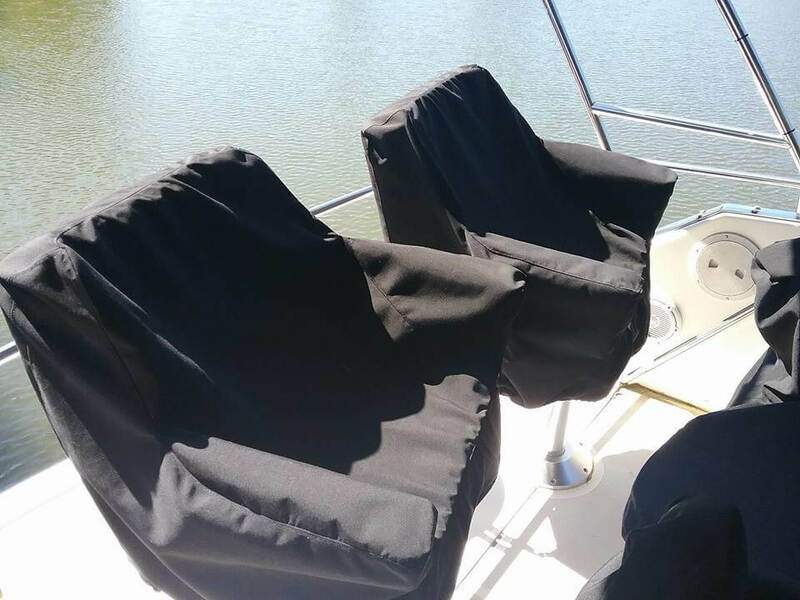 We created custom seat covers and also replaced the interior upholstery on this boat. 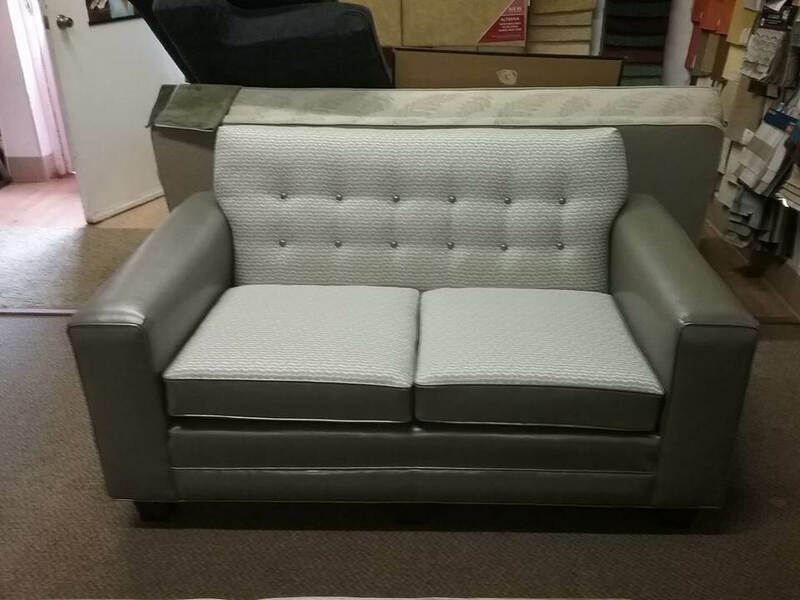 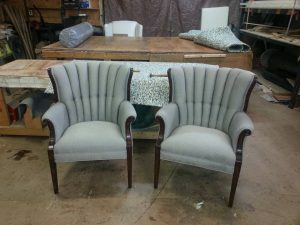 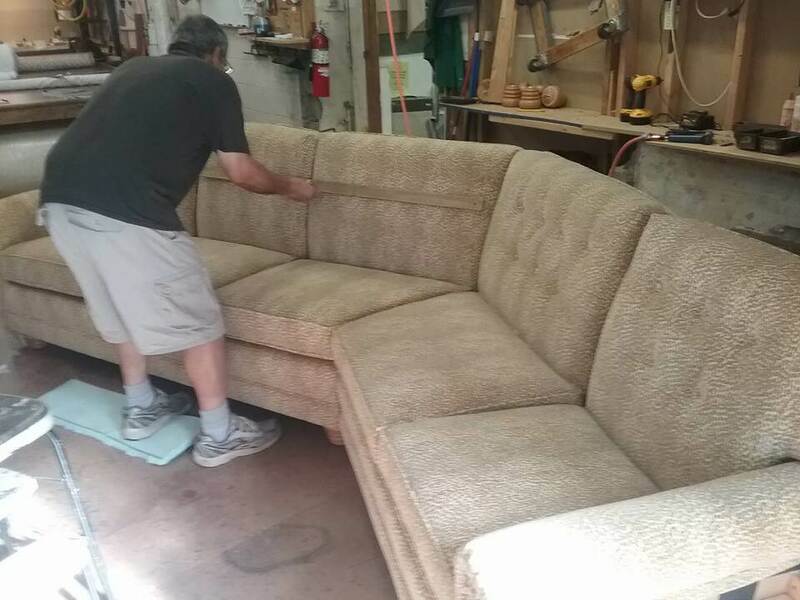 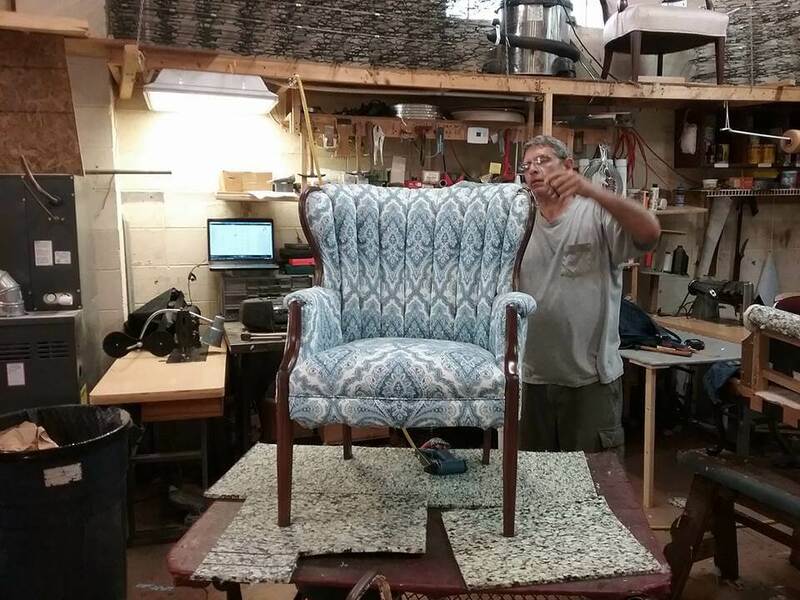 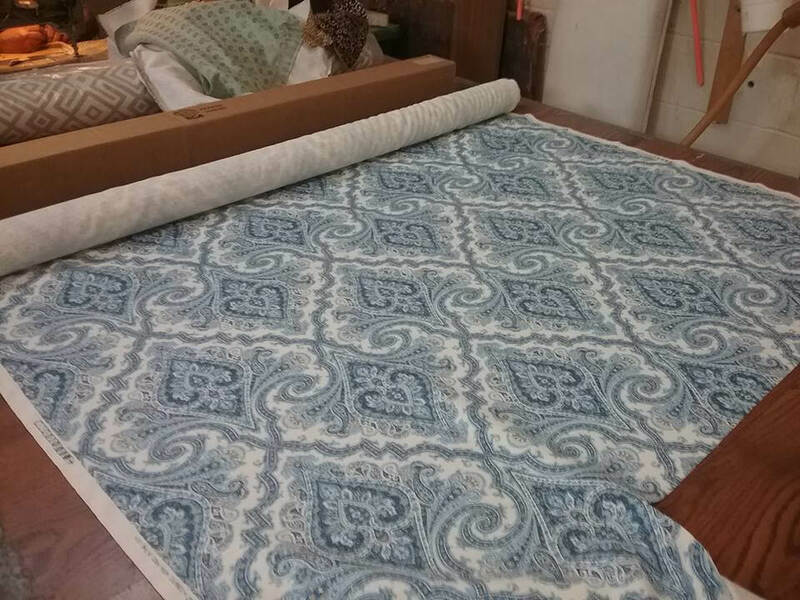 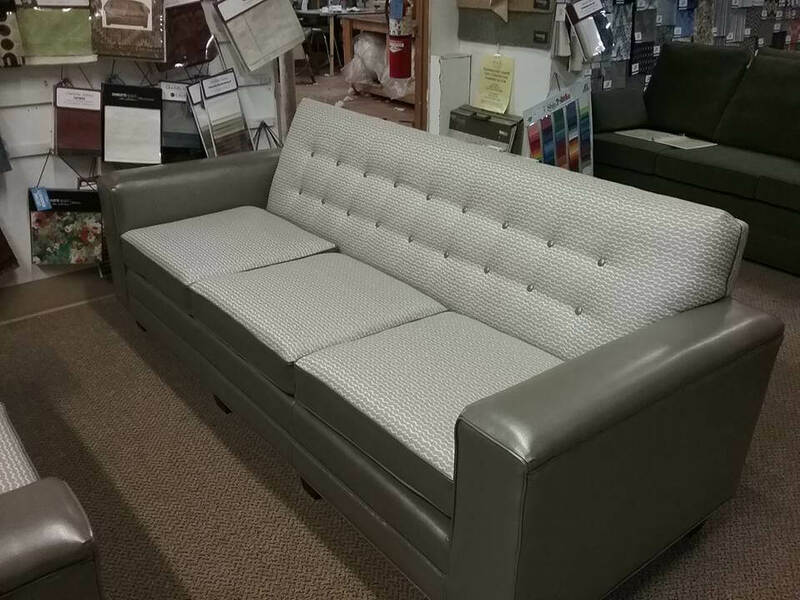 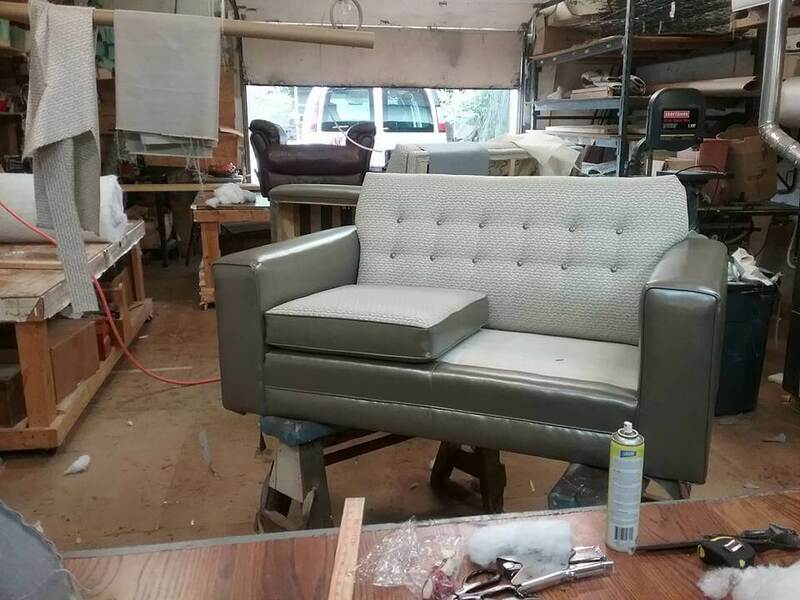 Being able to customize a sofa and loveseat to the customers desired fabrics is one of the things that makes MBU Interiors the place for upholstered furniture. 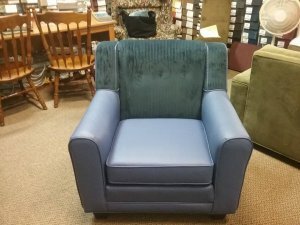 This project was one of our standard styles from the wide arm collection, but the customer wanted a combination of leather and fabric to create a really unique look. 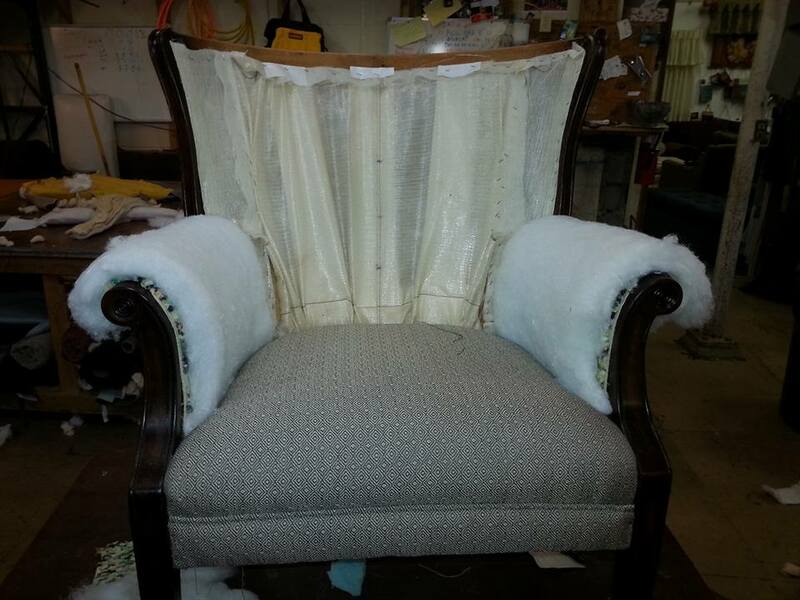 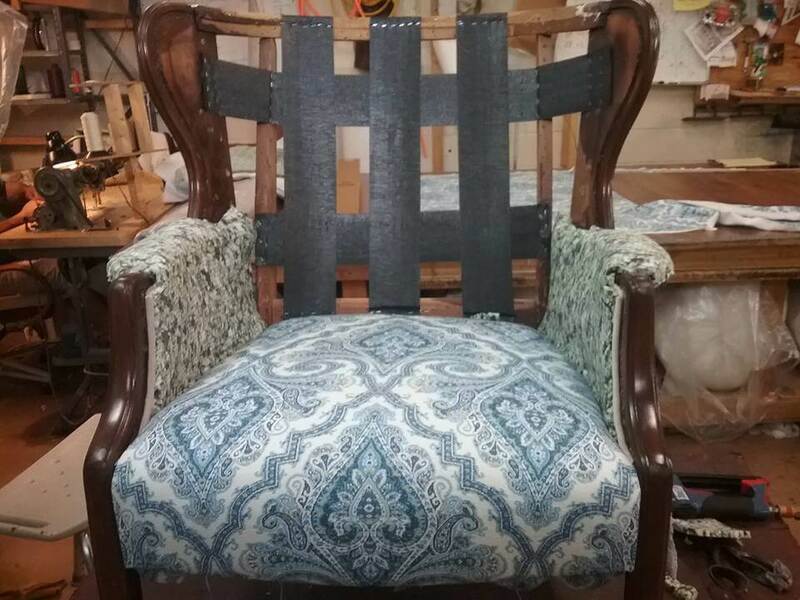 We upholstered the seat roll, seat border, inside arms, outside arms, outside back, one side of the seat cushions, the cushion boxing, welt cord and the outside back in leather. 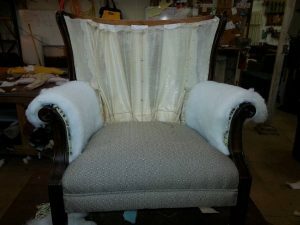 For the other side of the seat cushions and the inside back, we covered them with a very comfortable fabric. Loveseat with a mix of leather and fabric. 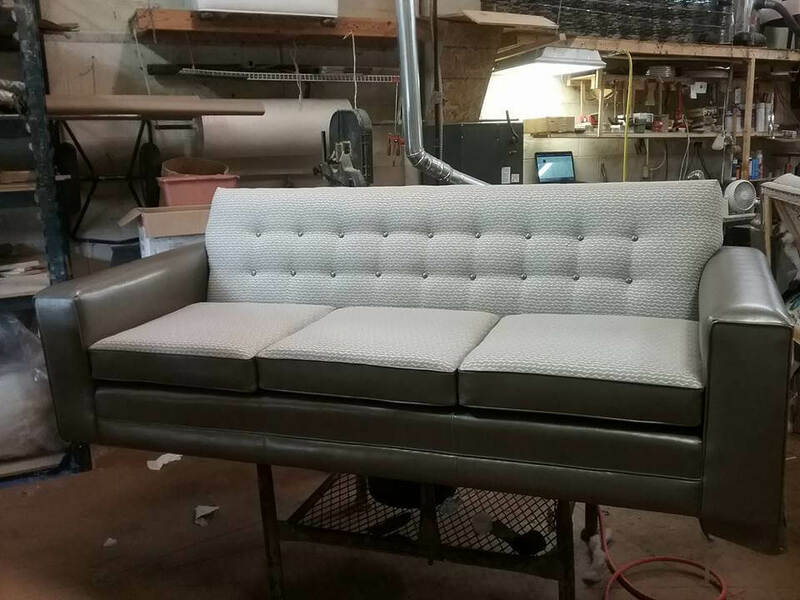 Sofa with a mix of leather and fabric.